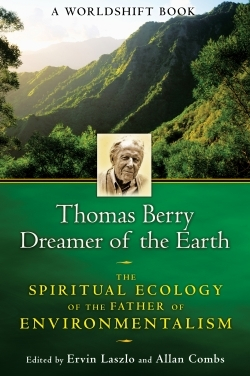 While the religious community is starkly divided on the issue of environmentalism, Thomas Berry was not. A Passionist priest and self-described cosmologist and “geologian,” he came down firmly on the side of environmentalism and was a pioneer in the field after a revelatory, mystical experience with nature in his youth set his feet on the path. Berry, a proponent of “deep ecology,” believed that people cannot function properly without an understanding of humanity’s place in the universe. He also believed that that place went far deeper than merely a human presence on the planet, but was more like a shared existence and even consciousness—a genetic code that guides the soul. The essays contained in this slim volume are both tributes to and explanations of Berry’s work, as well as an introduction to him. While some of the concepts and discussions will make more sense to those who are already familiar with the environmental movement and its advocates, including the work of theologian Teilhard de Chardin and the field of integral ecology, anyone interested in humanity’s deeper relationship to the earth and the creatures with whom it shares the planet will find much to admire. Readers will relate to many of the subjects covered in essays by prominent authorities in the field. Of particular interest is “Dreaming in Sacred Sites,” by Stanley Krippner, Paul Devereux, Adam Fish, Robert Tartz, and Allan Combs, which not only offers a description of Berry’s mystical experience with his own sacred site, a field of lilies that he encountered at the age of twelve, but also gives fascinating glimpses into a broader, deeper relationship with certain locations on the earth that in human history have been believed to offer transformational experiences to those who dreamt there. The essay “Earth Community: What It Tells Us About Faith and Power,” by Joanna Macy, tells of the need of humans to reconnect with the world and the true state of human culture and its effect on the planet, in order to redirect efforts to preserve not just the planet but life itself. This book is an admirable introduction to that quest.